During this holiday season, I want to extend my sincere thanks to you for sticking with us through a tough, challenging and–most aptly–disappointing season. You showed your loyalty by purchasing more than 2.5 million tickets to see baseball at Miller Park, which you’ve done every season over the past nine years. Only seven other MLB teams have reached this attendance milestone. And over those nine seasons, the Brewers have averaged more than 35,000 fans per home game, which is among the ten highest team averages in all of Major League Baseball. The commitment you’ve demonstrated to the Brewers, I assure you, is equaled by my own commitment to doing better. Each of you deserves that. By doing better, I mean fielding a playoff-competitive team and one day bringing a world championship to Milwaukee. To move toward accomplishing this lofty goal, I believe we need to take a step back and build more intensively from within. Our new General Manager, David Stearns, has been spearheading this approach, which requires grinding things out, prospect by prospect and trade by trade. While we look forward to using his fresh vision to getting our baseball operations to where we want them to be, we are mindful that there is a lot of hard work to do, and we will not take any shortcuts or look for quick fixes. Importantly, David has a great deal of flexibility to work with, as the team has just three long-term contracts remaining: Jonathan Lucroy (two years), Matt Garza (two years) and Ryan Braun (five years). As you probably know, David recruited Matt Arnold from the Tampa Bay Rays as his Assistant GM. At this month’s Winter Meetings, he and Matt started to implement their strategy, which David has articulated thematically as acquiring, developing and retaining as much young talent as we can. We do not have a rigid timetable because we believe it is vital to build a proper foundation for sustained success. I am encouraged by the level of teamwork I’ve been seeing in baseball operations and, most significantly, between David and Matt. Even before David joined our organization, our re-evaluation effort had begun. When the start of the 2015 season told us that the first 150 days of the 2014 season had been an illusion–one ultimately supplanted by the reality of the final month of that season–we made the difficult decision to change the team’s manager. In early May, we hired Craig Counsell, already a valued special assistant to our GM, to a three-year contract. This allowed Craig five months to observe our players in the field and to start training them to play in the style that had brought him two World Series rings as a player. With a focus on the future at the July 31 trade deadline, we exchanged veteran players who had less than two years remaining under their contracts for seven young players, four of whom saw action with the Brewers before the end of the season. A total of twelve rookies debuted this season–a club record. The performance of our lower-level Minor League affiliates provided more evidence that the talent of our prospects is improving. Our AA affiliate, the Biloxi Shuckers, went to the Southern League Championship Series this year for the first time since 2007. Moreover, Baseball America named three Brewers among the publication’s top five prospects in the Arizona Fall League. Since the end of last season, we have traded for another seven young players, including three with Major League experience. Through all these trades, we have added fourteen prospects to our team, supplementing the players we selected in what was considered a rich 2015 draft. As reported on mlb.com, eleven of our top twenty prospects have been acquired in the past two years either through draft or trades. The restocking of the farm system has begun in earnest. Finally, I would be remiss not to acknowledge Doug Melvin, who has transitioned from President of Baseball Operations and General Manager of the Brewers into a role as Senior Advisor. Doug’s baseball acumen, work ethic and loyalty have been an asset to the team for thirteen seasons, and he remains a valuable resource to David and our baseball operations group. So, as we approach 2016, I want to reiterate how much the entire Brewers organization appreciates the community’s strong enthusiasm for the club. We are dedicated to building something special here in Milwaukee for you, the best fans in baseball. I thank you once again for your steadfast support. I’m told that the #Brewers and #RedSox have touched base on a couple of ideas. Nothing pending as far as source knows. Details later. I promised to expound on it here on the blog because of the nuance involved. Based on a Nick Cafardo report from prior to the Winter Meetings that said that the Brewers were showing interest in Allen Craig, I reached out to a source who confirmed that the sides had talked about Craig and that Gerardo Parra was a name that came up in those discussions. They were characterized as “preliminary at best” (my wording) but as something that had been discussed. In addition, it was shared that the Red Sox had inquired about Yovani Gallardo. It wasn’t stated when, but it would make sense if it was in the same pre-Winter Meetings conversation. That would be in line with Doug Melvin’s public comments that as of the end of the day Tuesday, the Brewers contingent hadn’t met with any other team’s representatives in San Diego. Melvin has since admitted to meeting with a team on Wednesday, but wouldn’t say which. A possible return from the Red Sox was not known (or at least not shared) by my contact. My own deductive thought process believes that the Red Sox probably were and are making many exploratory calls on starting pitchers potentially available in trade as they (correctly, it turns out) expected that they might lose out on Jon Lester in free agency. If Wade Miley goes to Boston (as is said close by @jonmorosi), that’d basically eliminate one of the two things I heard. Write up tonight. So for now, it’s quiet as kept for the Brewers. Doug Melvin told reporters during his Wednesday evening briefing that he anticipates finding bullpen pieces later in the off-season once prices begin to come down. And it has also been echoed by Mark Attanasio that the Brewers aren’t really in much of a position for major free agents as they are pushing the limits of their budget. With a payroll projected to approach $110mm, #Brewers are near the high end of an acceptable range over a 10-year period, Attanasio said. So, in all the Brewers are beginning to make Winter Meetings contacts but haven’t yet consummated any deals. With Melvin telling reports that he intends to pass in at least the MLB portion of Thursday’s Rule 5 Draft, the Brewers could very well leave San Diego with no transactions on the books. It definitely helps that Melvin & Co. brought in Adam Lind early this off-season and retained Aramis Ramirez. Even though it doesn’t, the Brewers could field a capable 25-man roster if the season started tomorrow. Before fretting, keep in mind that there are still plenty of shopping days until P&C. I now see this tweet from Jon Heyman, saying the Wade Miley has been acquired by the Red Sox, so I’d guess that the Yovani Gallardo chatter will never result in anything, let alone ever be confirmed as true. 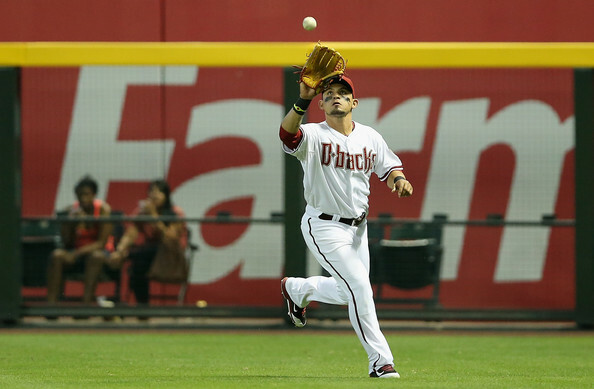 The Milwaukee Brewers have acquired outfielder Gerardo Parra from the Arizona Diamondbacks in exchange for a pair of minor-league prospects; outfielder Mitch Haniger and left-handed pitcher Anthony Banda. Parra is expected to join the team tomorrow in St. Louis. The announcement was made by President of Baseball Operations and General Manager Doug Melvin. “The addition of Parra gives us a veteran player who helps to balance our lineup and also brings Gold Glove defense,” said Melvin. Parra, 27, is batting .259 with 6 HR and 30 RBI in 104 games this season. He has made 98 starts (96g in RF, 2g in CF). Signing as a non-drafted free agent on 8/30/04, Parra had spent his entire professional career in the Diamondbacks organization. He is a career .274 hitter with 39 HR and 250 RBI in 787 Major League games (2009-14). Known for his exceptional defense, Parra has won National League Gold Glove Awards in left field (2011) and right field (2013). Entering today, his 62 outfield assists since 2009 were tied for second (with two others) in the Major Leagues, trailing only the Blue Jays’ Jose Bautista (63). To make room for Parra on the 25-man roster, outfielder Logan Schafer will be optioned to Triple-A Nashville. To make room on the 40-man roster, pitcher Tyler Thornburg was moved to the 60-day disabled list. Haniger, 24, was selected by the Brewers in the supplemental first round of the 2012 First-Year Player Draft. He batted .255 with 10 HR and 34 RBI in 67 games at Double-A Huntsville this season. 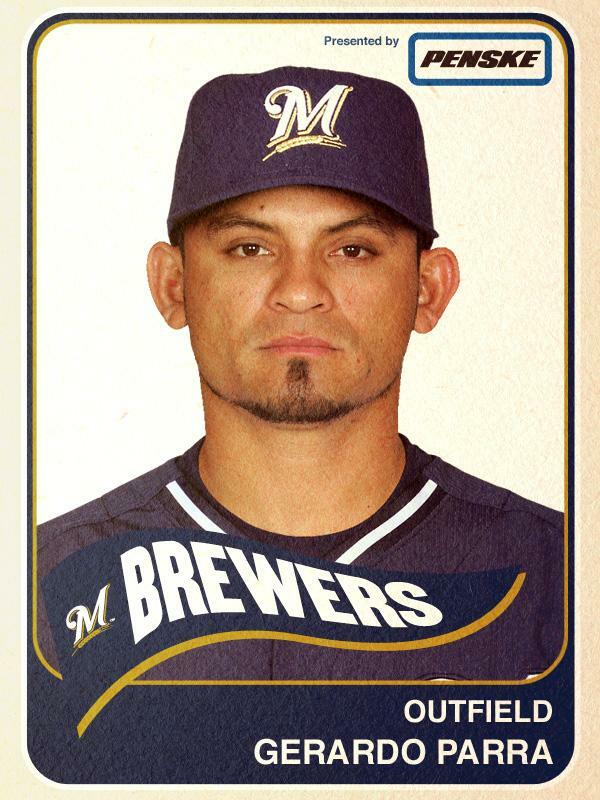 Banda, 20, was selected by the Brewers in the 10th round of the 2012 draft. He was 6-6 with a 3.66 ERA and 2 saves in 20 games (14 starts) at Class-A Wisconsin this season. 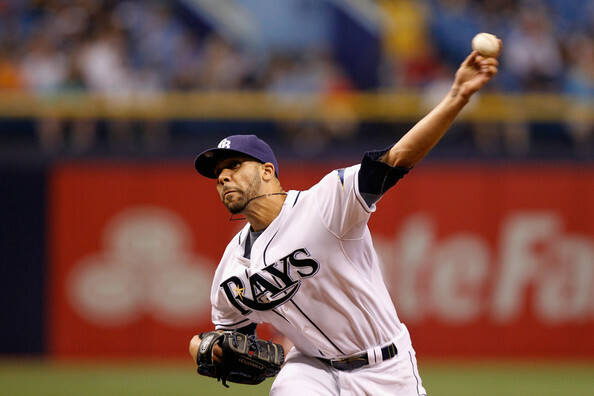 There’s been a lot of talk today regarding the Brewers involvement in left-handed starting pitcher, the true ace of the Tampa Bay Rays, David Price. I’ve been sitting on a rumor for over three weeks now and may as well talk about it now since it’s the hot topic of the day. 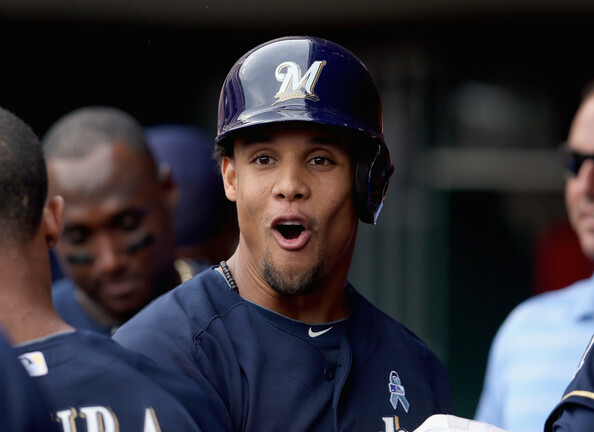 Ken Rosenthal and Jon Morosi of FoxSports.com kicked things off by resurrecting the ghosts of CC Sabathia and, to a different degree, Zack Greinke in pointing out that the Brewers have made runs to the playoffs after acquiring ace pitchers. Sabathia, of course, was the 2008 in-season addition who carried the Brewers to the playoffs along with Ben Sheets. Rosenthal and Morosi comment that the Brewers were “putting their ‘foot in the water'” on Price and that the results of Rays vs Brewers over the next few days could directly influence Price’s future, both in terms of whether and, if so, where he’ll be dealt. Well, what I was told is that three weeks ago, Melvin supposedly offered a package to the Rays that featured Jimmy Nelson as the centerpiece. I don’t know who else was discussed along with Nelson, but I was told that any package offered for discussion was a “non-starter”, at least at the time. What that means is that it simply wasn’t enough of a return for Tampa to consider. It lead to a report that the Brewers were viewed as “out” on Price at the time. As teams have gotten back into the race, or fallen out of it, trade partners also fluctuate. Perhaps the Rays are more willing to deal with the Brewers now, and perhaps that’s because Melvin is willing to part with different pieces now than he was before. That, I don’t know. But I was told three weeks ago that Andrew Friedman and the Rays’ front office are valuing near-MLB prospects more than “high-ceiling, but further away from contributing types. Again, they may not have seen what they wanted to in that realm and are now willing to consider those “further away” prospects, but I’m not privy to any more recent discussions…at least not yet. So, yes, the Brewers expressed interest. And while things may have changed in the last 22 days, initial information indicated that Melvin and company didn’t have the right package to pull off the major coup this time around. And while I don’t expect anything to happen, it sure would be fun if they figured out a way to sweeten their offer.